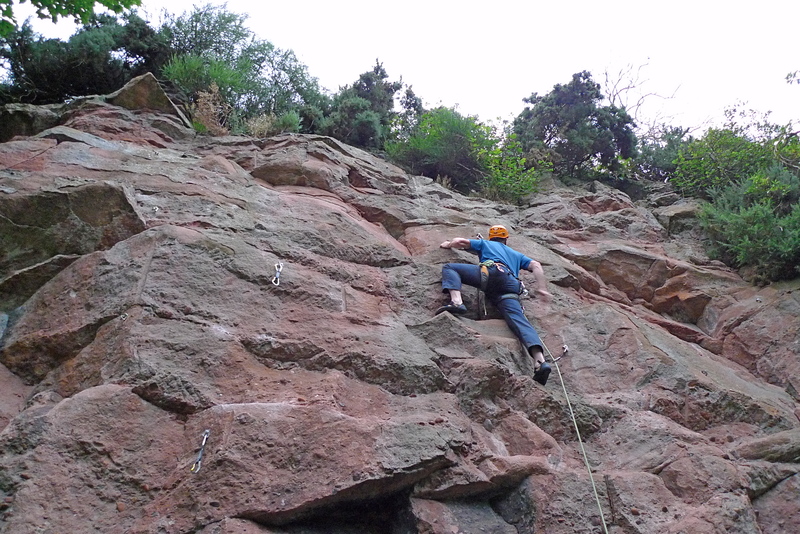 Dave, Alan and I were back up at Kirriemuir today getting some mileage on the arms before we head out to the Alps. We did a good selection over 4 hours, the pick of the bunch were: Badly Over Drawn Boy (6a+) Joining the Debt Set (6b) Never Never Land (6a+) Beat the Bulge (6b+) Monkey See Monkey Do (6b+) and The Zoo (6a+). 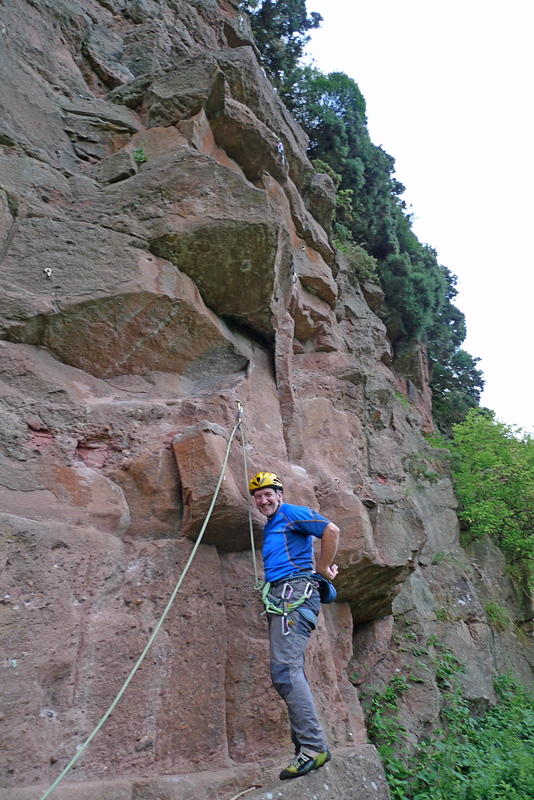 Although I managed to red point Chasing Dragons (6c) last time I was here I jumped back on (and fell) to burn the arms out before Alan and Davie finished up on Tim’rous Beatsy (6a). Dave and Alan head out to Chamonix on Monday. With a bit of luck our van will be ready to rock and roll come the 8th then we will make the long awaited journey into France to join them….